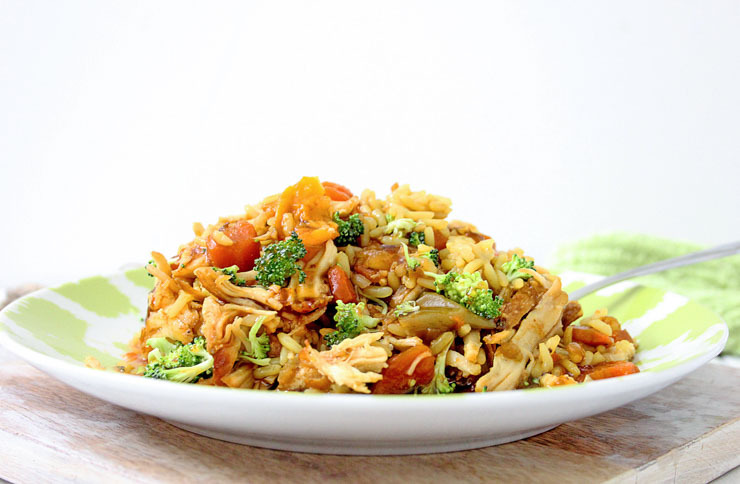 Instant Pot Teriyaki Rice with Chicken and Broccoli is a great weeknight meal that will have everyone getting their vegetables! When shopping there are those weeks that I just can’t resist the fresh vegetables at the store! They look great! Then I get them home and wonder how to prepare them all in a meal before they go bad. 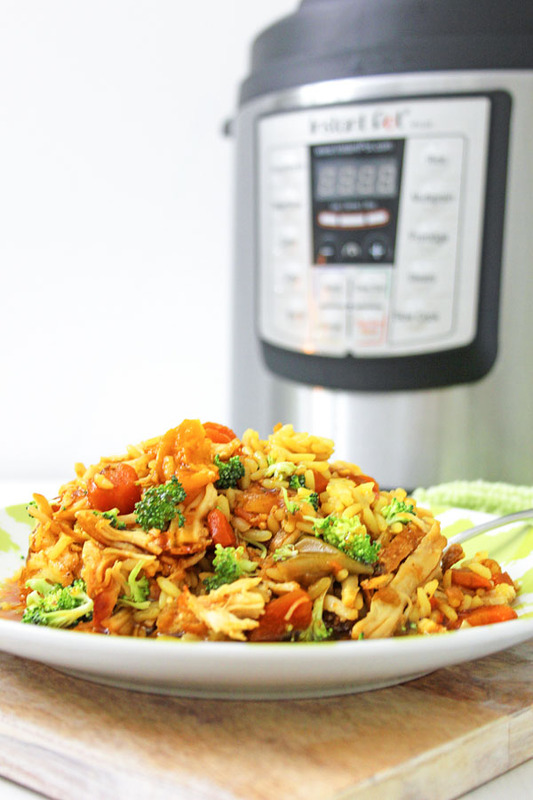 This Instant Pot Teriyaki Rice with Chicken and Broccoli calls for so many veggies! 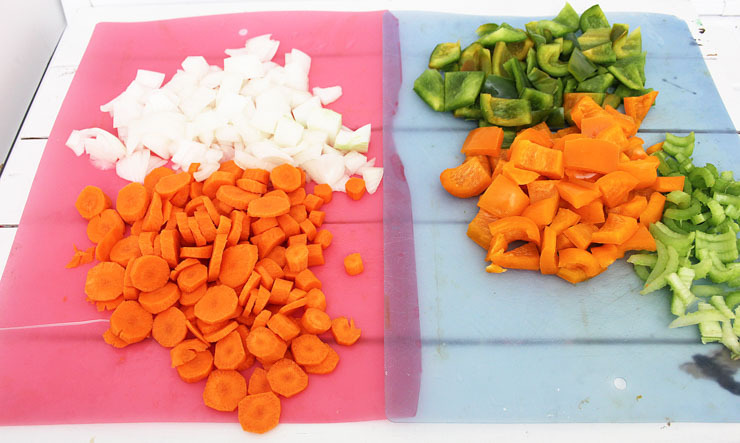 As with any stir fry, the most time consuming part of this meal is chopping those veggies. I get out one large cutting board like this one here, or a couple smaller ones. Don’t forget a large bowl on the counter to collect trash and keep it away from the ingredients. If you have a second person helping you, put them to work making the Teriyaki sauce! 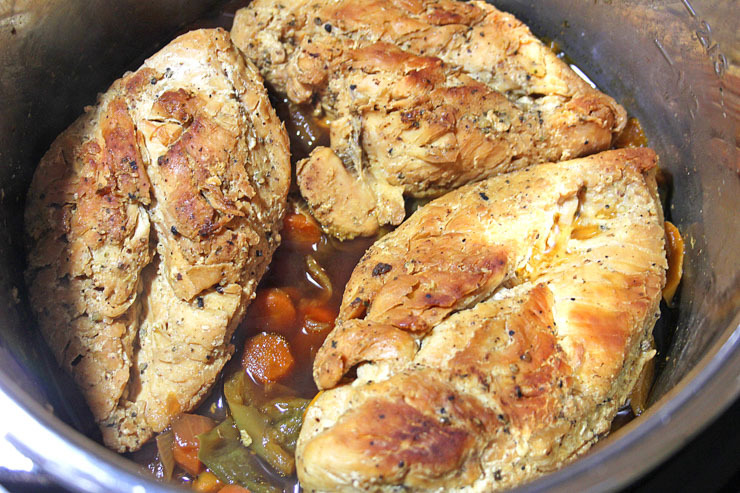 You will toss half of it and the veggies into the Instant Pot, along with the chicken. Set the Instant Pot to manual and it cooks all this goodness for you! No standing at the stove! After it’s done, shred the chicken and set aside. 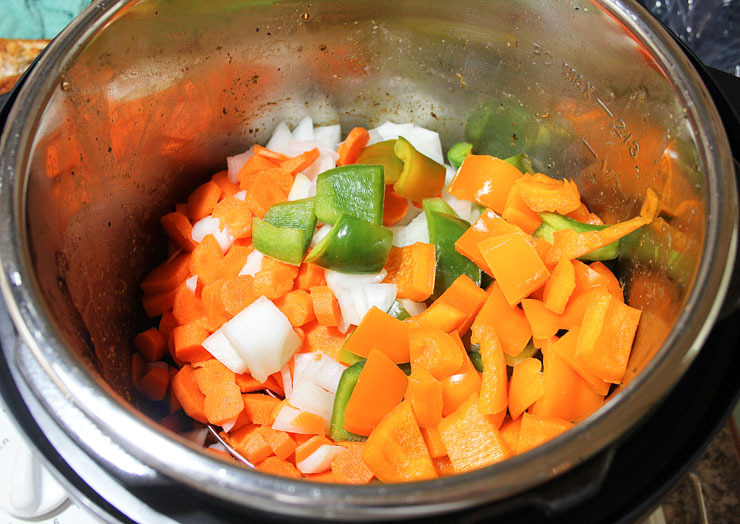 You will then saute the rest of the vegetables, and let them absorb the flavors of the chicken from the pan. Keep some water on hand to de-glaze while cooking. After your stir fry is done, combine all ingredients and serve while hot. Enjoy! This is a healthy and delicious way to get a lot of vegetables in one dish, in very little time, and have it all in one pot! This one will surely become a favorite! When chicken is golden brown on outer edges, add the rice, water, and half of the Teriyaki Sauce, the garlic and ginger. 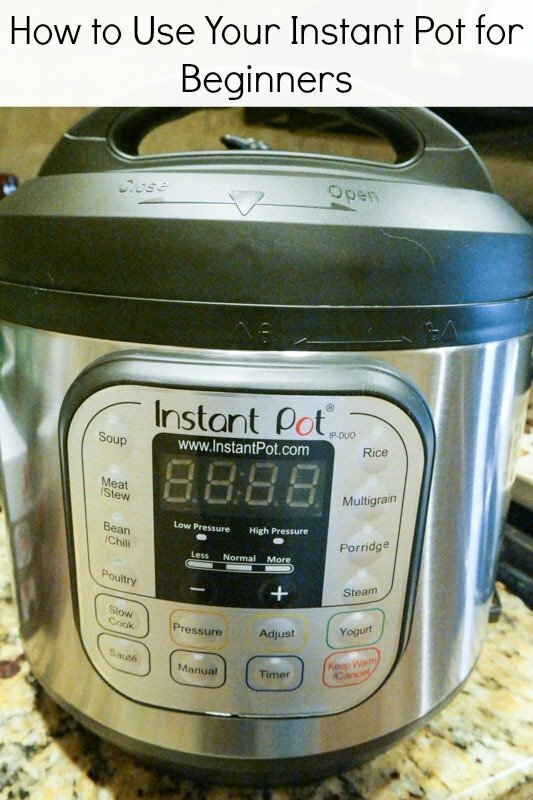 Put the lid on the Instant Pot until it beeps and locks. Turn the pressure valve to SEALING, and press MANUAL button, and set the time for 8 minutes. Release pressure when finished. When pressure has been released, remove the lid, move the chicken and rice to one side. Press the SAUTE button, and add the onion, celery, red pepper, carrots, broccoli and water chestnuts, and drizzle with the Teriyaki Sauce, and cook until vegetables are tender. Stir the rest of the set aside ingredients into mix. Place on plates or rice bowls, drizzle with Teriyaki sauce if desired, top with green onions and serve immediately. Enjoy! Want to submit a recipe to be featured? 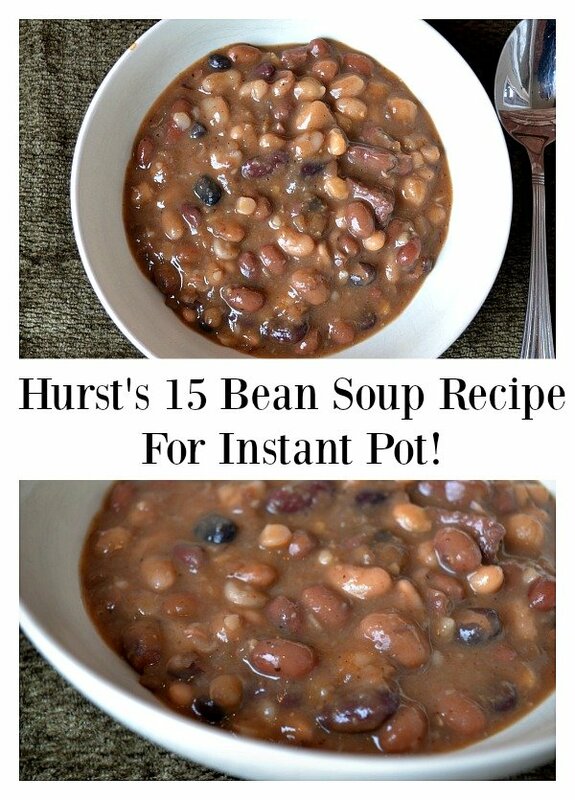 For the coldest days of winter, this Hurst’s 15 Bean Soup for Instant Pot recipe just hits the spot.